For a few weeks now, something has felt a bit “off” in your bite. When you’re chewing food, a particular tooth seems as though it’s out of place or even twinges now and then. You can’t nail down exactly what area it’s coming from, but you’re sure that something isn’t normal. If you broke a tooth or feel a large area that has chipped off, patching it up with a filling won’t hold up to the test of time. A crown will! Amalgam fillings often take up a large portion of the tooth. Once the old restoration starts to leak, there isn’t always enough enamel left to hold a new filling. Instead, the entire tooth needs to be covered. Following endodontic treatment, your tooth is no longer alive. Non-vital teeth can chip and wear away quicker than a tooth that still has a vital nerve inside of it. After your root canal, a crown protects your enamel so that your tooth continues to function normally. It’s time to save your smile and repair your tooth before it needs to be extracted. 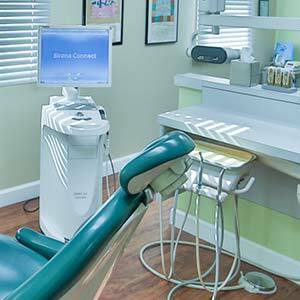 Call Columbia Dental Center today to find out more about our gentle crown treatments.